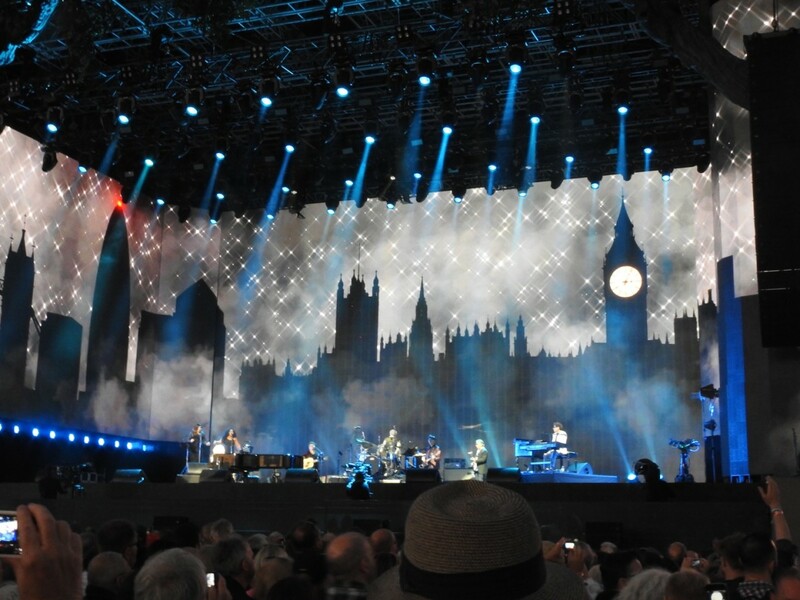 While the USA was celebrating the 4th of July with its customary fireworks, London was launching its own version of an American pyrotechnics display with two iconic American songwriter-singers at Barclays’ British Summertime (BST), a two week summer music festival held in Hyde Park attended by 65,000 appreciative fans each day. 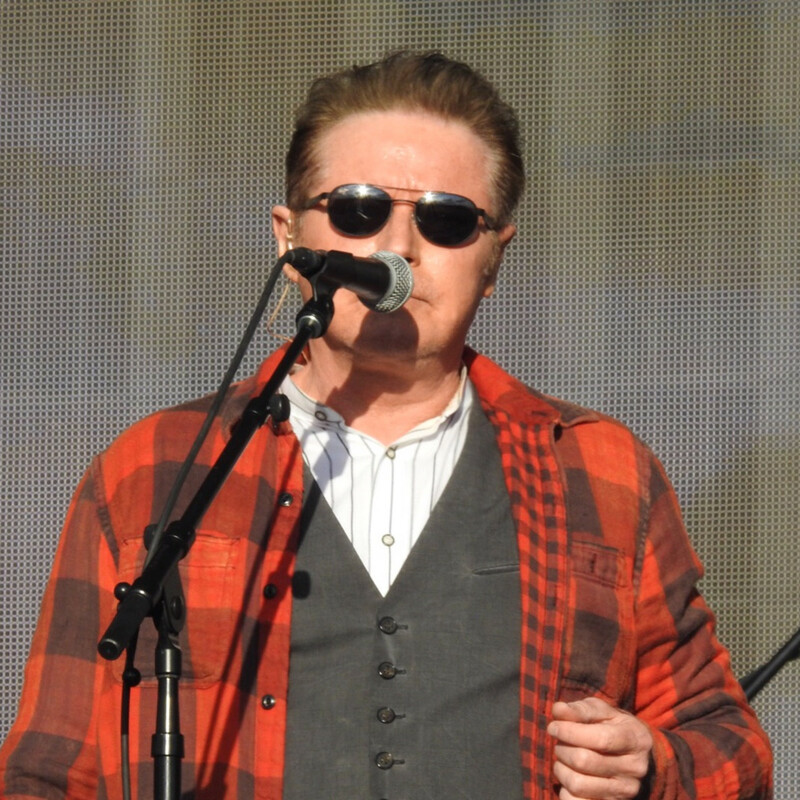 In the past, BST has landed such big names as the Rolling Stones, Taylor Swift, Paul McCartney and Bruce Springsteen, but this year the marquee guests were Eagles co-founder Don Henley followed by the venerable Carole King —two of America’s greatest songwriters, with King performing her seminal 1971 album Tapestry in its entirety for the first time. I was lucky to be in London earlier this year the day the lineup was announced and tickets went on sale. The Henley-King billing sold out immediately, and for good reason. 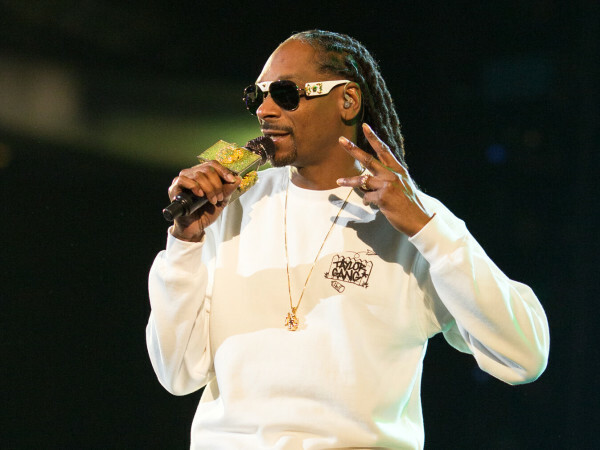 King has not performed in England in 27 years. 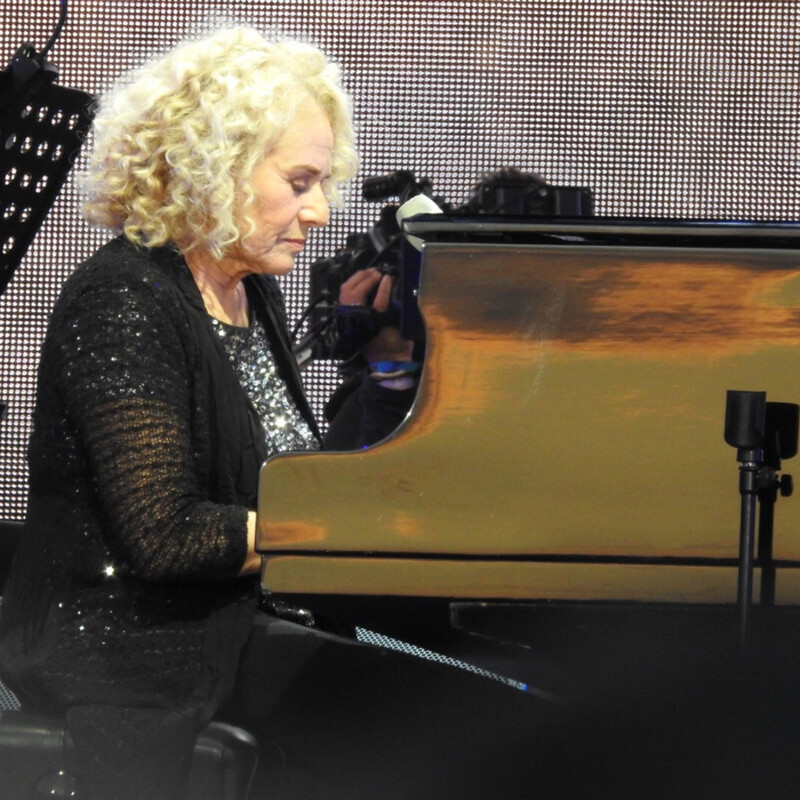 In 2010, she and James Taylor toured the U.S. with their highly acclaimed Troubadour tour, but at 74, performing live was not high on her list. And Henley had recently lost his Eagles co-founder Glenn Frey and it seemed that the Eagles portion of his life was over. What touring he would do was an open question, and at 68, he was making noises that his voice was not as strong as it used to be. All of this to say is that many of the artists we grew up with and love have rounded third base in their careers, and if we want to see them live again we should jump at the chance. We might not get another. Hyde Park, in the center of London and three blocks from Buckingham Palace, is easy to get to by tube or bus, and is a short walk from many local hotels. Concerts start each weekend early afternoon and go until 10 pm sharp. Because the park is in a partly residential neighborhood, the power and lights are turned off at 10:30, regardless of who is playing, as Bruce Springsteen and Paul McCartney found out last year when they were disconnected in the middle of a legendary performance. 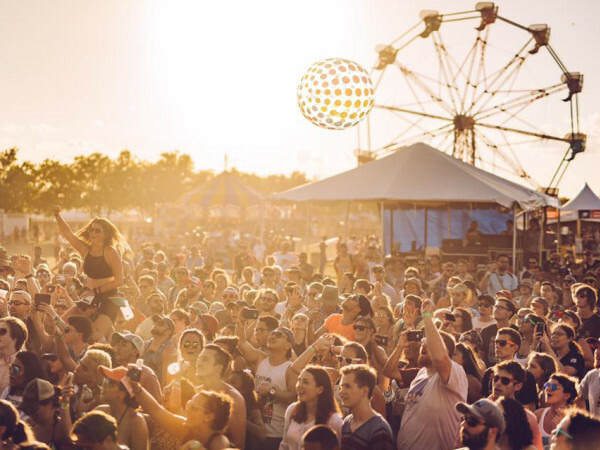 Within the grounds are four different stages with the main performances taking place on the Great Oak Stage. There are plenty of outdoor bars and restaurants, shaded sitting areas with bean bag chairs, and modern restrooms. But there are no assigned seats, except for Barclay’s VIP grandstand at the rear of the venue — just assigned sections. Most people bring blankets and sit on the ground (in the back sections—not allowed up front) or stand next to the stage. It is all very civilized and by the time the concert ends, the sun is just setting. 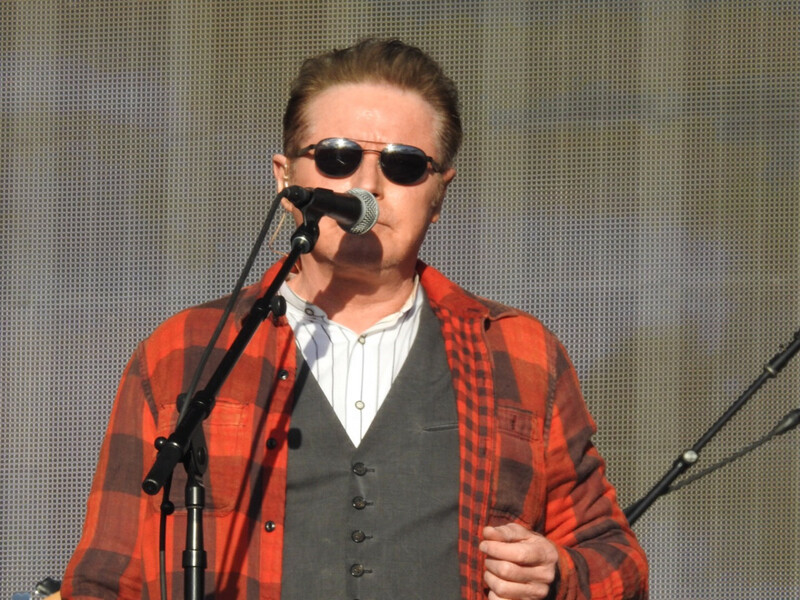 Opening promptly at 6:15 p.m. in blinding sun, Don Henley and his 10-piece band wore jeans, his two female backup vocalists were in cool black dresses and most sported sunglasses, with Henley donning a red lumberjack jacket as the sun set and the air cooled. 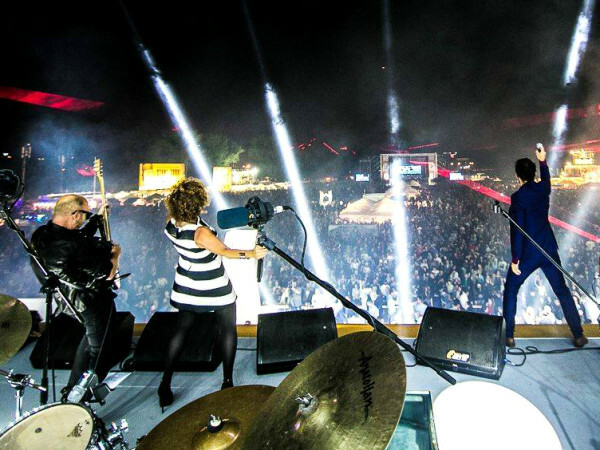 The band seemed genuinely moved by the crowd’s warm welcome as they took the stage. Henley kept his banter to a minimum, but did say, when introducing “It Don’t Matter to the Sun,” that “We are going to do some ensemble singing. Something you don’t hear much of these days — just yellin.’” The crowd loved it, and applauded enthusiastically as Henley and his group broke into perfect six-part close harmony. While some may carp that Henley and the Eagles lack spontaneity, he always gives a darn good concert with rarely a note out of place. Again, he did not disappoint. His standards are high and his voice sounded as good as ever. 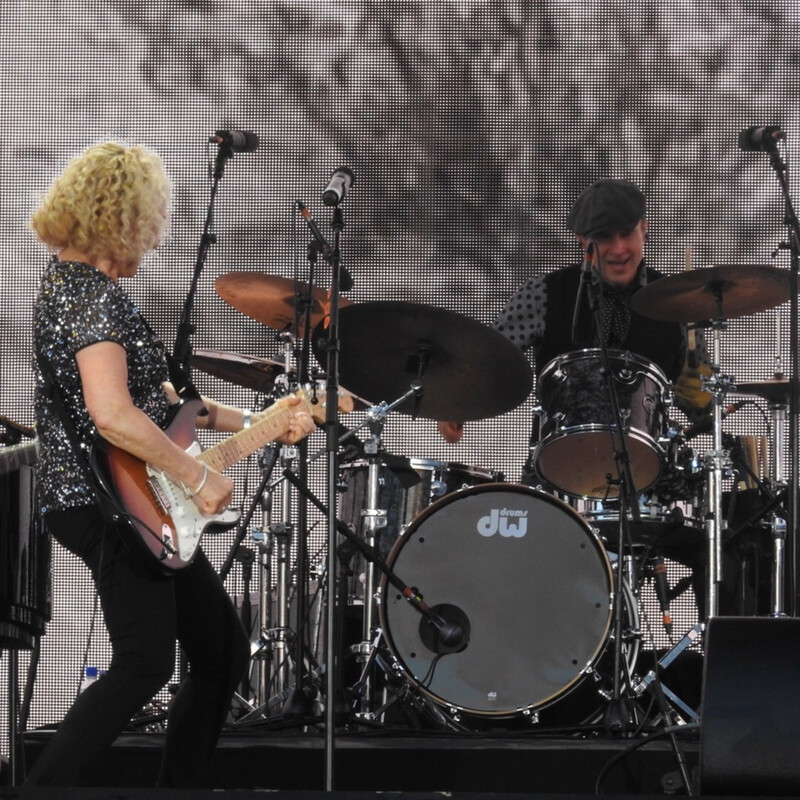 The band members have been with Henley or the Eagles for decades, and it shows. Guitarist Steuart Smith’s versatility continues to shine. 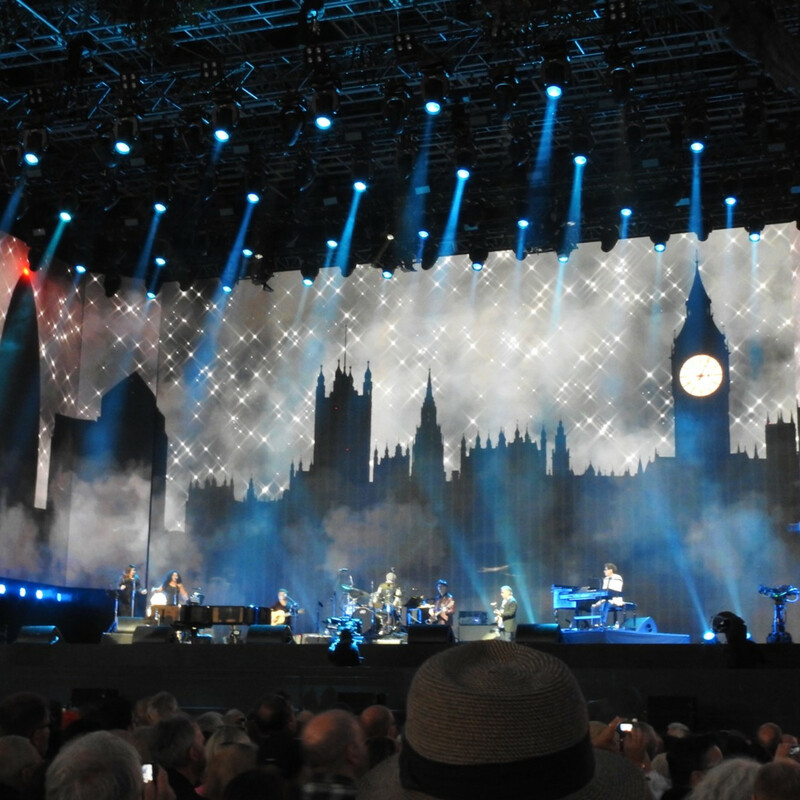 There were several differences in this concert from a typical Henley performance. 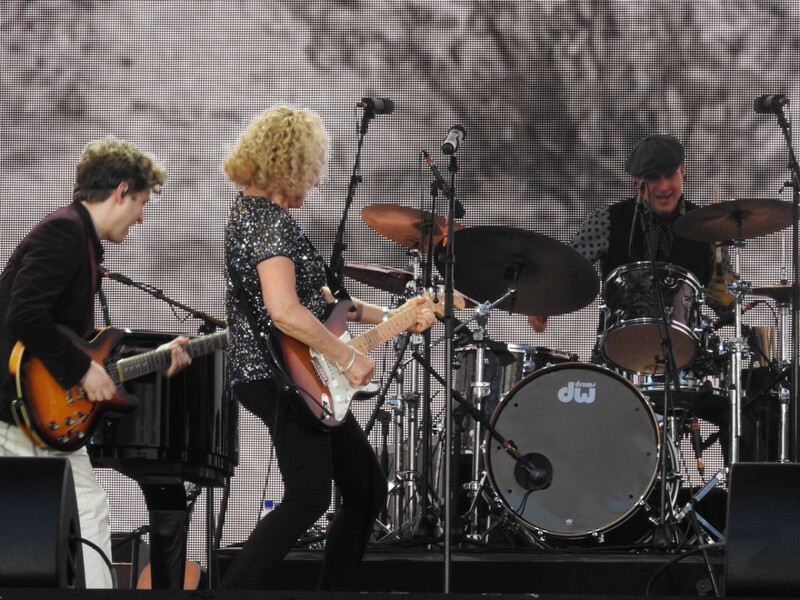 First, Henley seemed to embrace that he and his band would carry the Eagles standard now and would devote a good part of his shows to the Eagles songbook. The second difference, which is sadly only temporary, deals with concert photography. 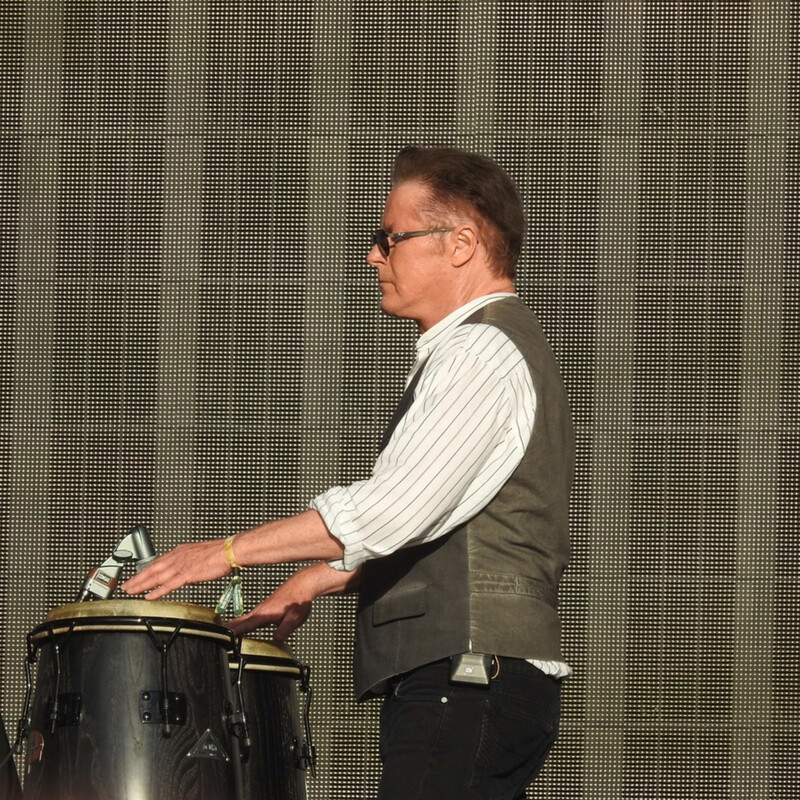 Henley has been on a tear about no photography during concerts, even authorizing security guards to admonish anyone trying to use a cell phone, which I have written about previously in my reviews of Eagles concerts. Fortunately, this concert was in too big of a venue to enforce a photo ban, and I snapped away like a kid in a candy store. 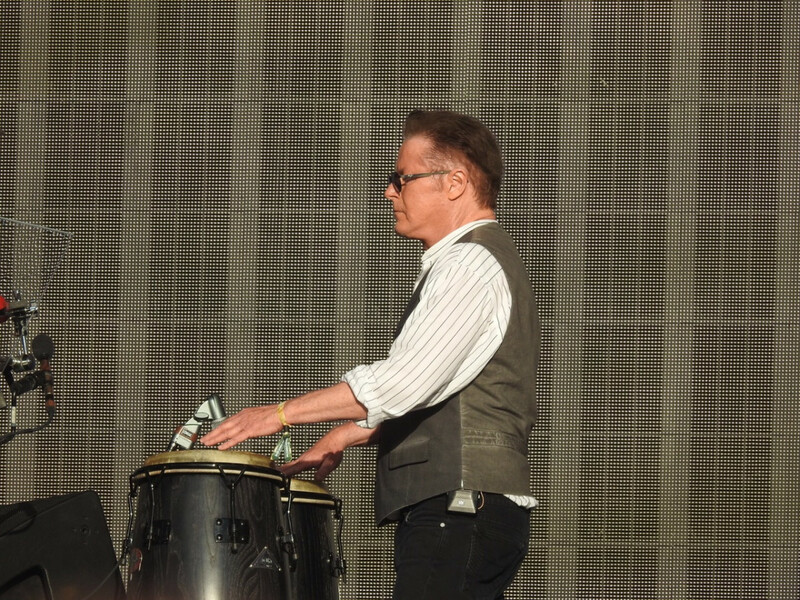 The third and most poignant difference came after a rousing “Hotel California,” where Henley played the conga drums. He paused, removed his sunglasses and said, "This has been a tough year for our camp. We have heard and read your condolences. Thank you for your love and support. Glenn, this one’s for you,” as he launched into an emotional “Desperado” to end his set. The cheers (and more than a few tears) lingered long after he and the band exited. 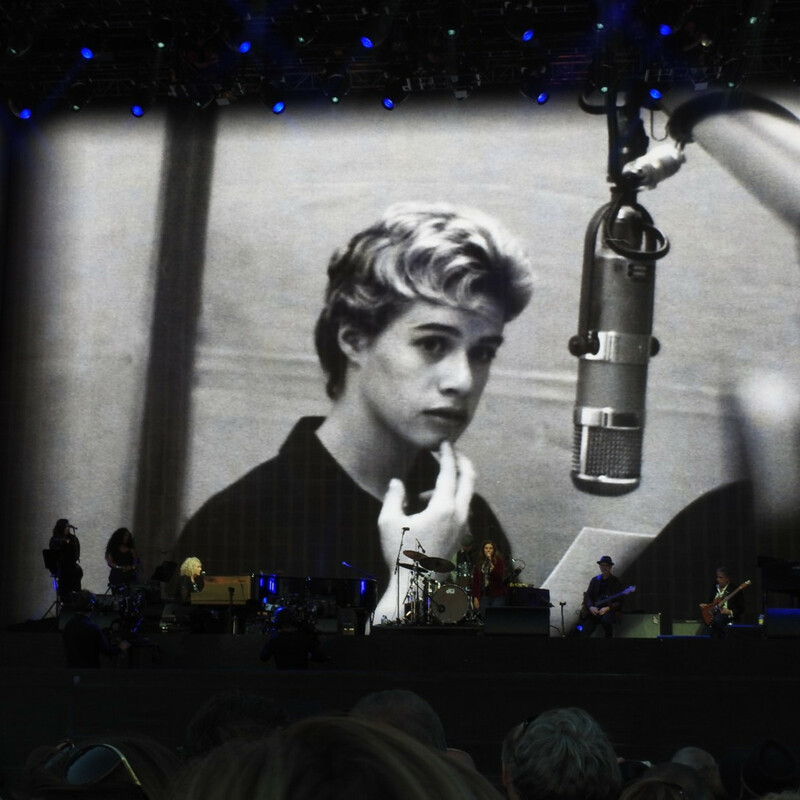 Before Carole King even entered the stage you knew you were going to witness something special. A film track appeared of Sir Elton John, Tom Hanks, James Taylor and other artists talking about King's iconic 1971 album Tapestry and what it meant to them. The film whipped the audience — a mixture of baby boomers with children and their children— into a frenzy. 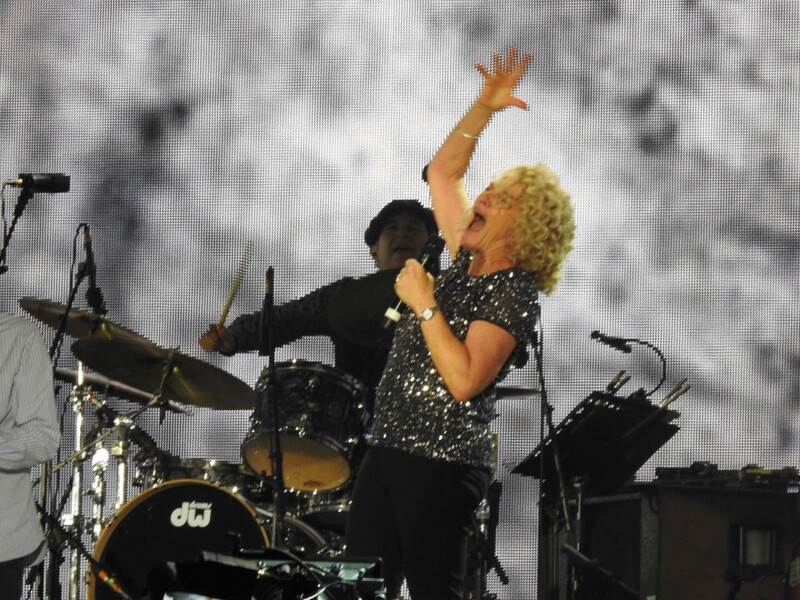 King emerged with her seven-piece band and started right in with the first cut from the album, “I Feel the Earth Move.” Immediately, everyone in the audience sang along, knowing every word. King, dressed in black pants and a sparkling top, seemed overcome for a moment at the power and emotion of the audience’s response. The bond between her and the audience was immediate, electric and mutually adoring. King seemed close to tears she was so moved by the audience reception she continued to receive. King explained that she had never again sung the song as written because the lyrics were geared to a man leading a woman, but that she and her daughter, Louise Goffin, rewrote the song for the TV show, The Gilmore Girls, to describe an empowered woman. She brought out Goffin to play the modernized version with her. Then they both sang a moving duet of “Will You Love Me Tomorrow,” which was the first song King and her then-husband Gerry Goffin wrote, back in 1960. 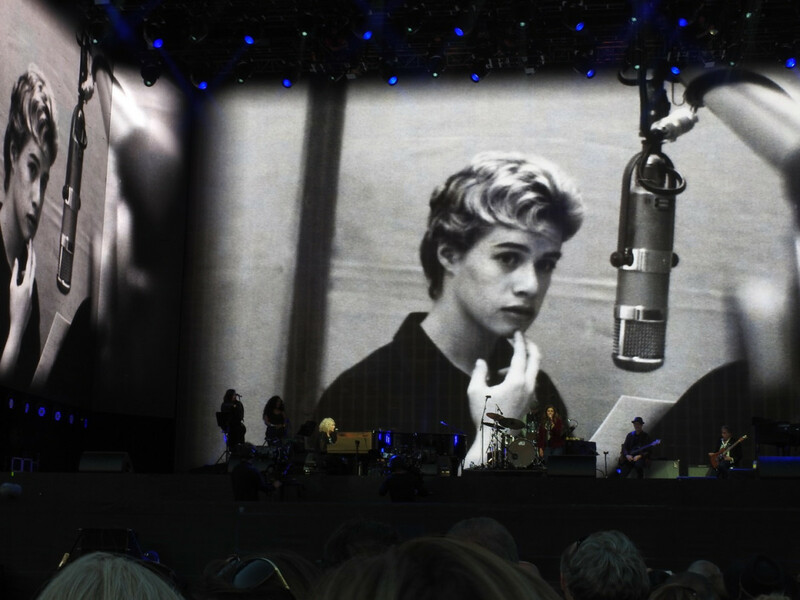 One of the most poignant moments of the show was the final song of Tapestry, “You Make Me Feel Like a Natural Woman” (written in 1967 and recorded by Aretha Franklin), as King sang the song in tandem with her performance as a 20-something-year old projected on the giant screen. What a wonderful perspective on the enduring power of song. At 74, King looks radiant. She is appropriately wrinkled, one of the few performers her age (or any age) who seems to have the self-assurance not to have cosmetic work, and she glows with wisdom and joy. 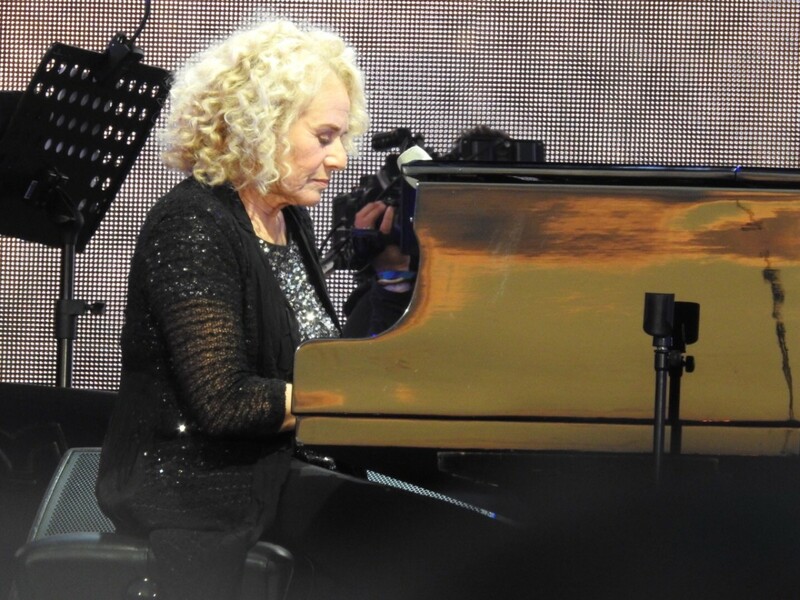 King’s piano playing was more versatile and creative than I remember from her past performance with James Taylor. Her voice sounded fine, though just a little pitchy at times (which is to be expected at her age), but that just added to the realness of the evening. 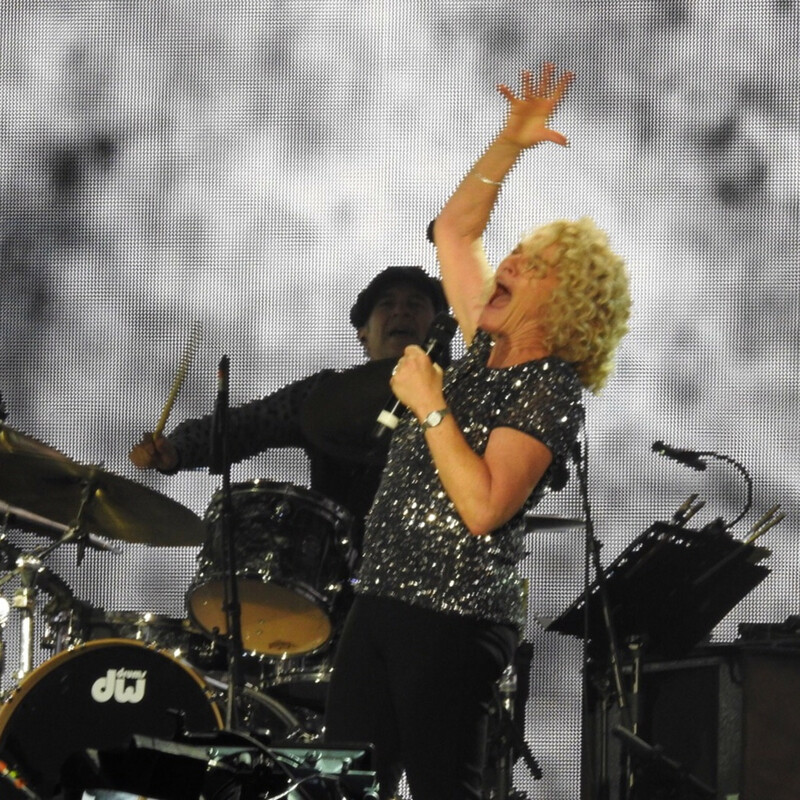 She did not hold back, and once she laughed to the audience, “No way I can hit this note,” but it was so authentic, and it was just such a rare honor to watch the woman who brought hundreds of really good songs to life sing them with such joy. Looking at the concert critically, Tapestry is not an upbeat album. It is an album of change, forlornness, depth, uncertainty and introspection, and the best “arena” songs are at the beginning rather than the end. So, if this were not a concert of Tapestry from beginning to end, you would see the song order rearranged so that it ended on a higher note (pardon the pun). King’s solved that challenge by following the last Tapestry cut with a medley of some of the many songs she has written for others, including “Go Away Little Girl (Bobby Vee),” “One Fine Day” (The Chiffons), “Hey Girl” (Freddie Scott and later Donny Osmond), “Chains” (the Cookies), and “Jasmine” (recorded by King) with a phenomenal sax player and a rocking performance of “The Loco-Motion"(recorded by Little Eva and others), that brought the house down. With that she bowed and left the stage. This is what a bucket list concert is made of.